When I was growing up, Beef Sukiyaki was one of those special occasion foods. I knew we were going to eat this amazing dish every Father’s Day and a few days in between. I always looked forward to those days. With delicious meat and tasty veggies, this was a childhood favorite that I still love as an adult. My dad spent a couple of his college years living in Japan where he fell in love with this dish. He brought home this recipe with him, it is a simple version of the dish but incredibly tasty. Slice celery at an angle into thin slices and set aside. Julienne the onion. Add oil to a hot pan, fry the veggies and remove the pan. Fry beef and then add veggies and the remaining ingredients. Simmer 5 minutes and then remove from heat. Serve over rice. As much as I love this dish, I still can’t bring myself to eat it the way my dad learned to, with a raw egg cracked over the entire thing. He swears it takes it to the next level of taste. Maybe one day I will get that brave! This truly looks so delicious. Love making hearty dishes like this for my family. No fancy ingredients which is a plus. I can’t believe this is served with a raw egg! I bet scrambling that egg and laying it over the top would be good, though! 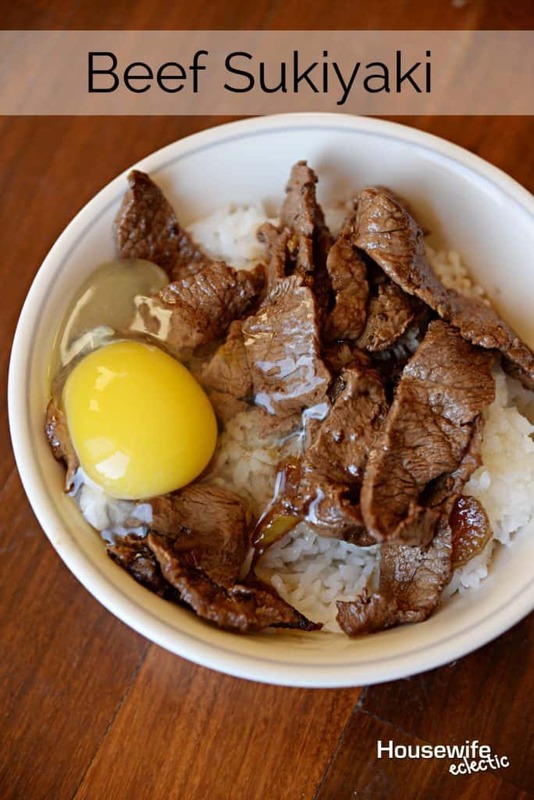 The beef looks delicious, but I think I am wary of the egg, too! I would make this recipe without the rice though as I’m watching my carbs. I totally get why you haven’t been able to bring yourself to eat it with a raw egg on top. I will say though many years ago it wasn’t anything for people to eat raw eggs and not think a second thought about it. I do like that it has easy ingredients otherwise and would really love to try it with the rice! Thank you for sharing a neat recipe. All I see is protein in this dish, which is great. I’ve never tried this but will do so soon. Looking at your pics, I think beef sukiyaki could also become one of my favorites. I’d love to give this a try. This looks really delicious. And with that egg, it will satisfy my stomach. Great post. Just hearing the food name, Beef Sukiyaki, sounds hmm yummy. So the egg is really like that? Fresh, I mean. Maybe I should try this. Yum! This looks so good to make! I have never had beef this way before and am always wanting to try new things for dinner. I often get stuck in a rut making the same things over again. Thanks for the idea! Yum this looks so tasty! I haven’t have beef sukiyaki in ages! I’ll need to try this out! This sounds so good. I love trying out exotic dishes and this seems right up my alley. So coincidental that I have some beef in the freezer. Can;t wait to try your recipe. Thanks for sharing! 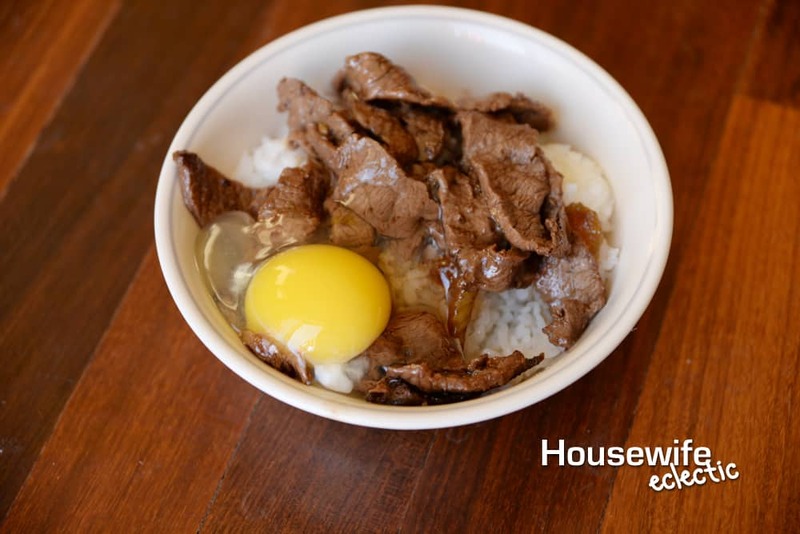 I have never tried this but my husband does enjoy sukiyaki when we eat outside sometimes. This recipe sounds so easy and delicious. I will share this with him. I would totally make this! I might poach the egg though. I am not into eating raw eggs. You had me up until the raw egg. I don’t think I could do that either, but I think your dad is awesome for eating it that way! This recipe for the Beef Sukiyaki sounds delicious. I don’t think I could use the raw egg though because I too am not the brave. Thanks for sharing the recipe. This looks soo good. I don’t think I have ever had Beef Sukiyaki before, so Ill have to give this a try. You can use a pasteurized egg. My go to when I want real carbonara.